Available in five sizes to suit all your kitchen knife needs. 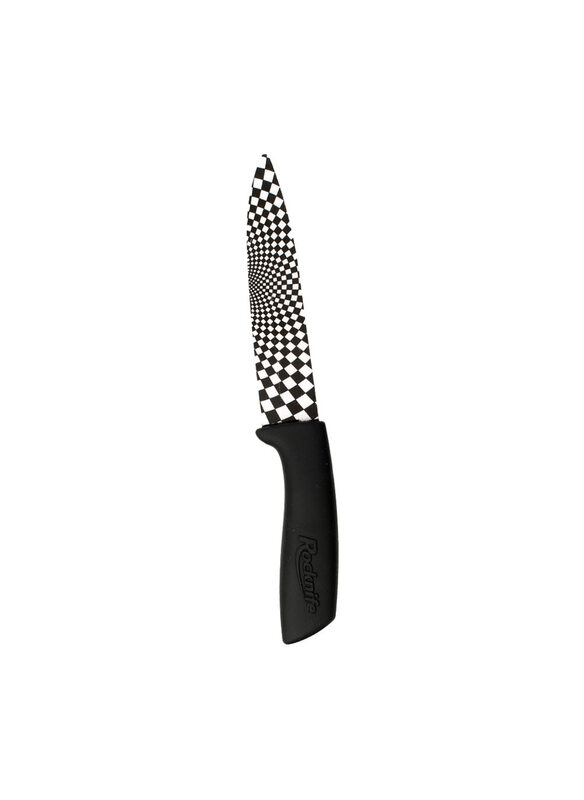 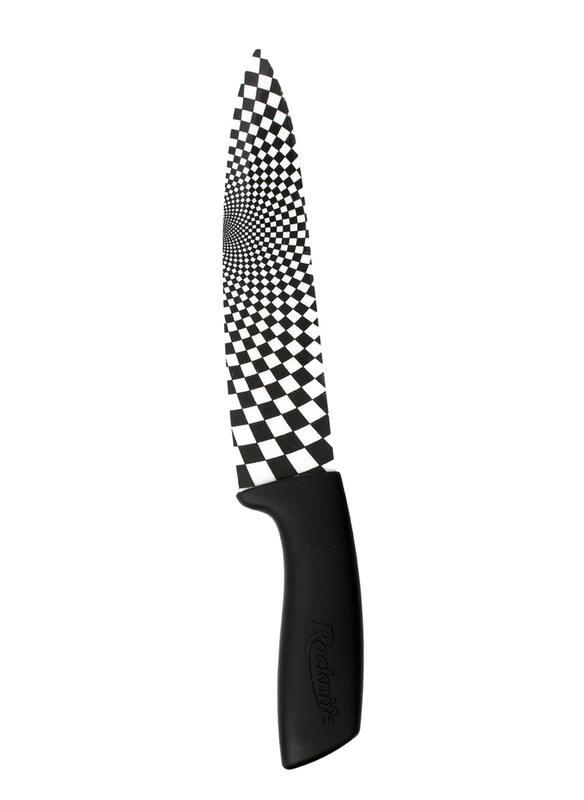 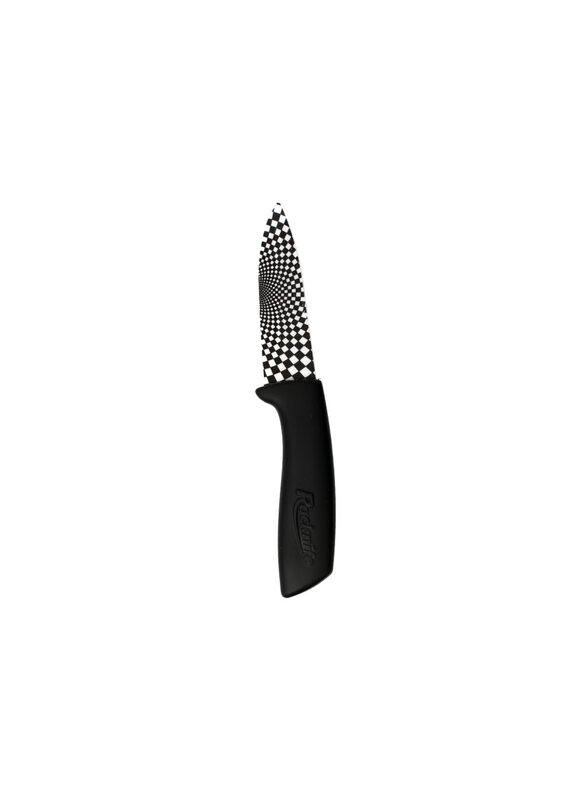 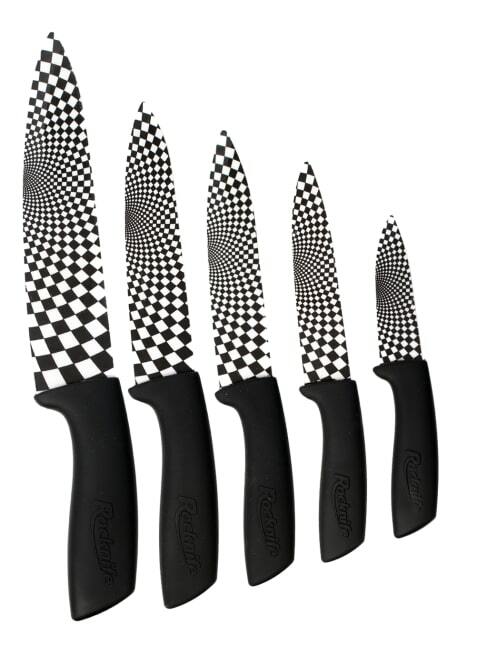 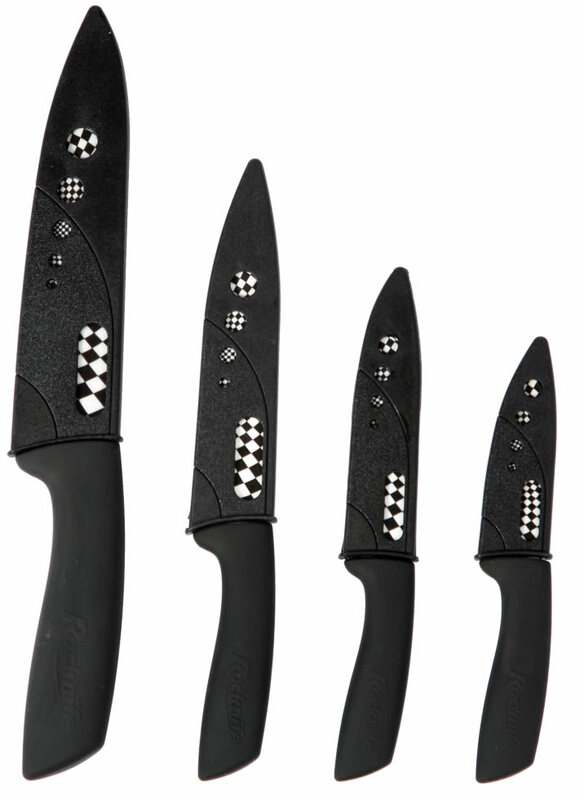 A stunning design the Black Rocknife with a check design was the original inspiration behind all our ceramic knives. 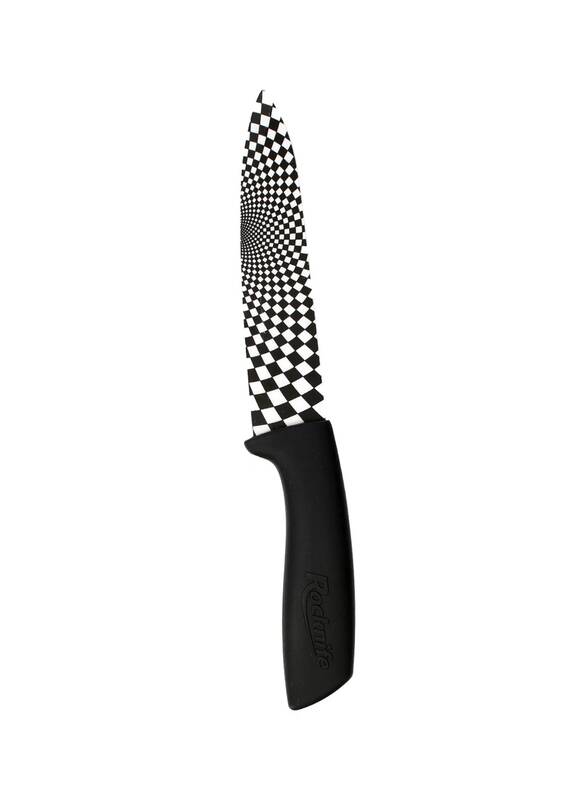 Perfect for cutting all fruit and vegetables, there is a knife to suit every need, from the 8 Inch bread knife to the 6 inch blade which is ideal for bigger jobs like a healthy cabbage or taking the skin off a freshly cooked salmon, we then also have the 5 inch ceramic blade which is perfect for melons, large fruit, grapefruit and other bigger vegetables. 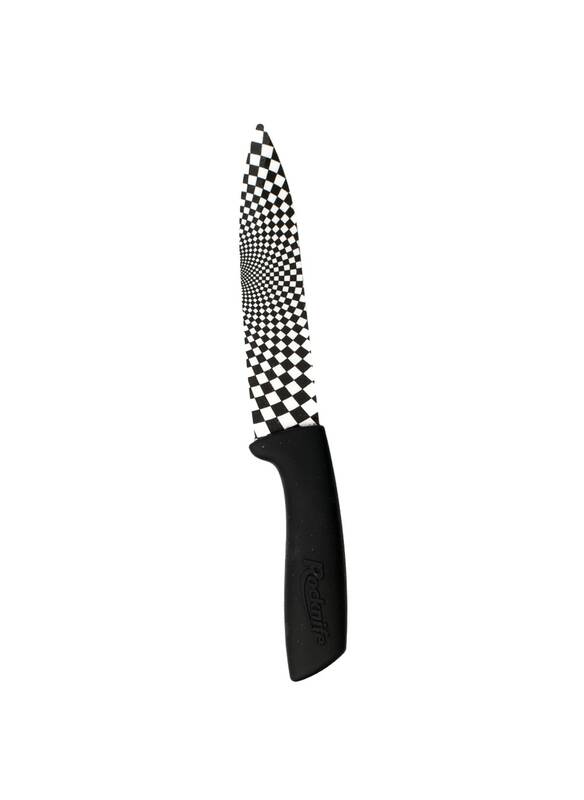 The 4 inch Rocknife is the handy everyday use Kitchen knife, ideal for carrots, mushrooms, tomatoes and all fruit, the blade is hardened to 400 tons of pressure causing the knife to be extremely hardy. 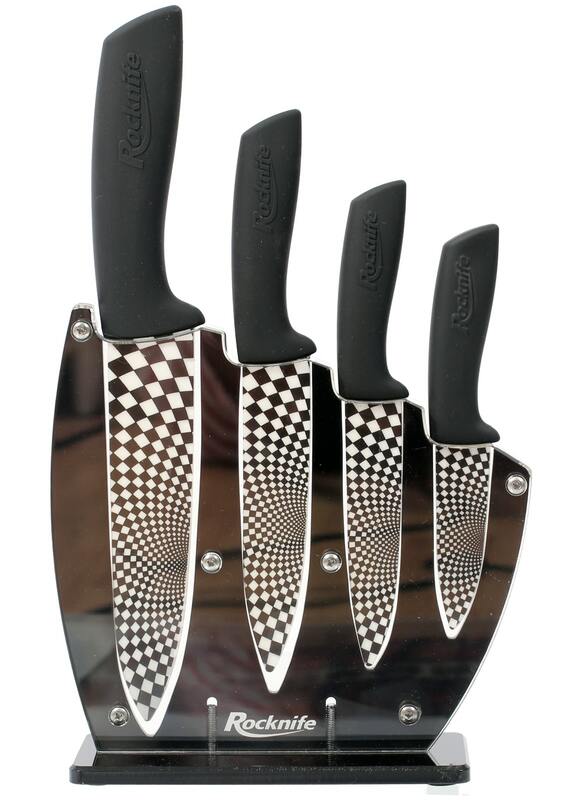 Why not be extra stylish and go for the set, the Black handles here will offset beautifully the black and white check and indeed this is one of our favourite designs.